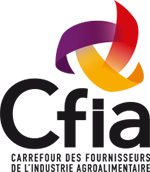 For over 20 years CFIA has been the most important food processing event in France. The 22nd edition of this exhibition will be held from 13 – 15 March 2018 in Rennes, France and will bring together 1450 exhibitors offering the latest innovations in processing, packaging and ingredients. The fair continues to grow and welcomes over 22,000 visitors each year. Russell Finex will be presenting the latest food processing technology at stand A-19, Hall 9. These innovations in sieving and filtration equipment are designed to improve production rates, lower costs, reduce product loss and improve the quality of your food and beverage products. The Russell Liquid Solid Separator™ is a high-performance centrifugal screener. It has been designed to be very operator friendly by being simple to operate and easy to clean and strip down. This centrifugal separator can easily match capacities of 60" diameter vibratory screens and is ideal for applications that require high capacity filtration and solid-liquid separation. This machine is often used for food processing applications such as straining apple juice, processing milk products and much more. The Self-Cleaning Russell Eco Filter® is an innovative industrial self-cleaning filter which is often used for filtering liquid chocolate, caramel, tahini paste and many other liquid food products. These filters are completely enclosed for the best product quality, improved operator safety and to guarantee that there is absolutely no product contamination. The unique self-cleaning design ensures there is no downtime needed for changing the filter elements which results in lower costs. The Finex Separator™ is a vibratory separator which can accurately process wet or dry materials on up to five fractions. It has been used for a wide variety of food applications such as separating sesame seeds, de-dusting peanuts and screening food additive powders. Visitors can also see a live demonstration of the Russell Screen Changer™, a pneumatic screener lifting system allowing quick and safe access to mesh screens. This sieving upgrade was specifically designed to make the replacement and inspection of mesh screens on the Finex Separator™ more operator friendly. Experienced sales engineers will be available at Stand A-19 in Hall 9 where you can find out more about the entire range of sieving and filtration equipment.